Note:By default this system does not include tank. If you want to include a tank, select tank option before adding to cart. Need a different Tank? 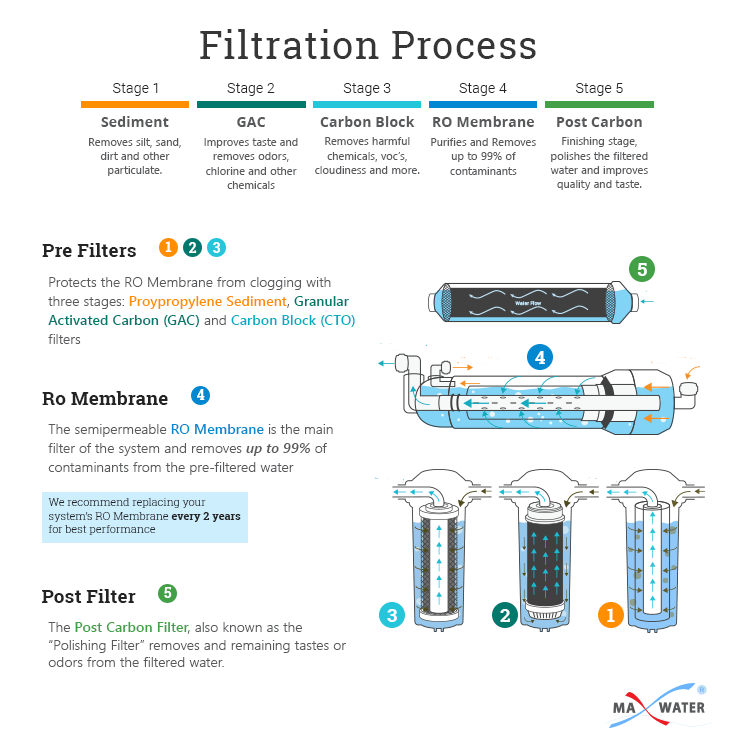 More filter stages? 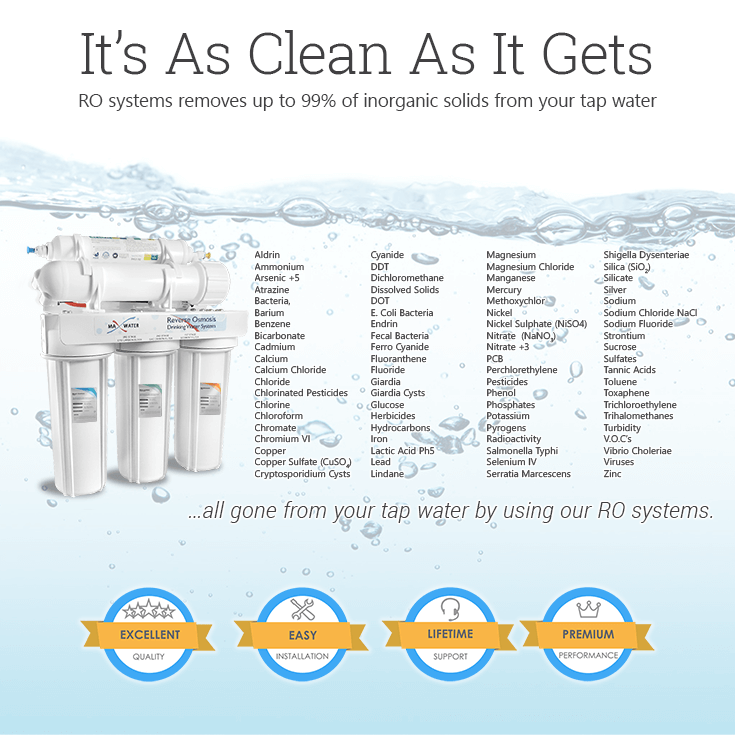 Our built-to-order package allow you to configure the RO System to your needs. 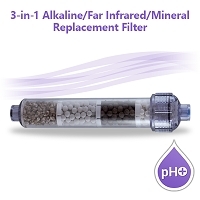 The base price is the system as shown in the picture (3 pre-filters, 50 GPD RO membrane and 1 inline post carbon filter are included). 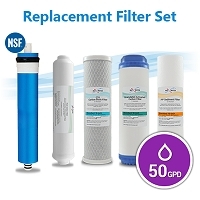 If you need any additional stage filters, TDS meters or pressure gauge, you have to customize the system and add them yourself, price will vary depending on options selected. 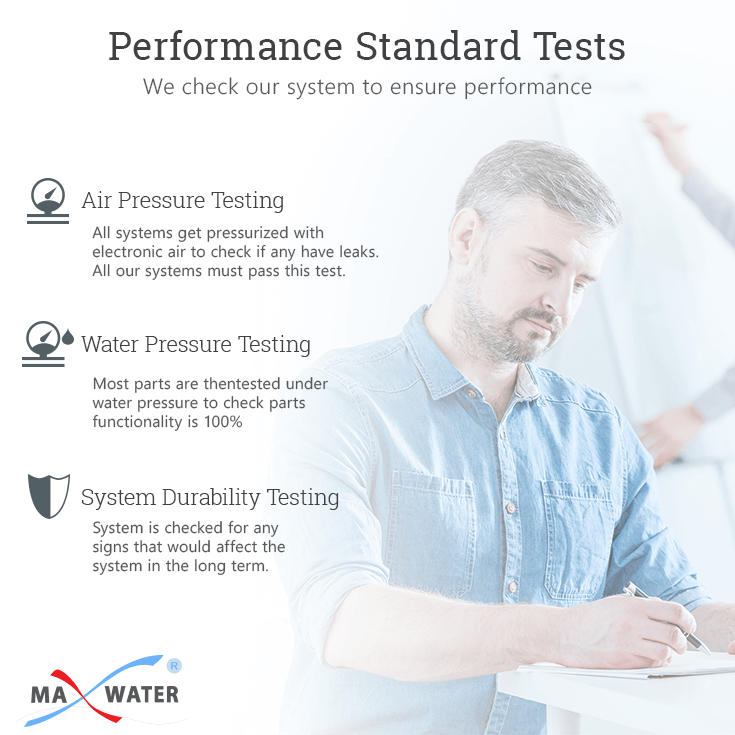 Single Inline TDS Meter: 105765 Measures water TDS from one line and insures that the unit is functioning properly and providing you the required level pure water for your needs. 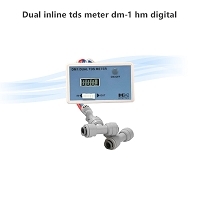 Dual Inline TDS Meter: 105766 Measures water TDS from two lines and insures that the unit is functioning properly. 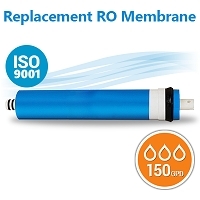 Pressure Gauge: 105246 To monitor the feed water pressure going into your membrane. 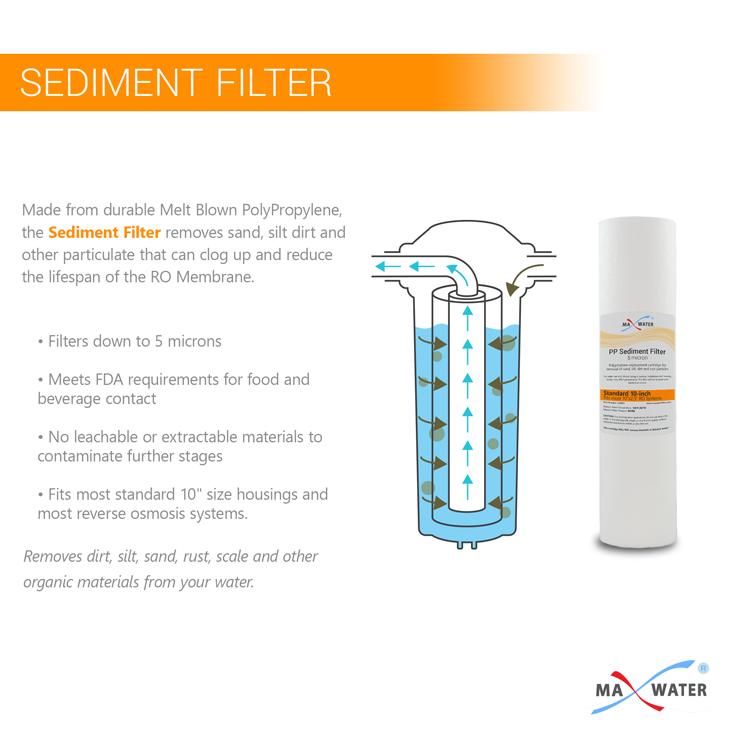 Pressure will drop if pre filter get clogged and helps to know when to change them. 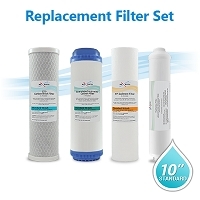 Flush Kit: 105126 Used to flush your membrane manually to extend the membrane life and efficiency. 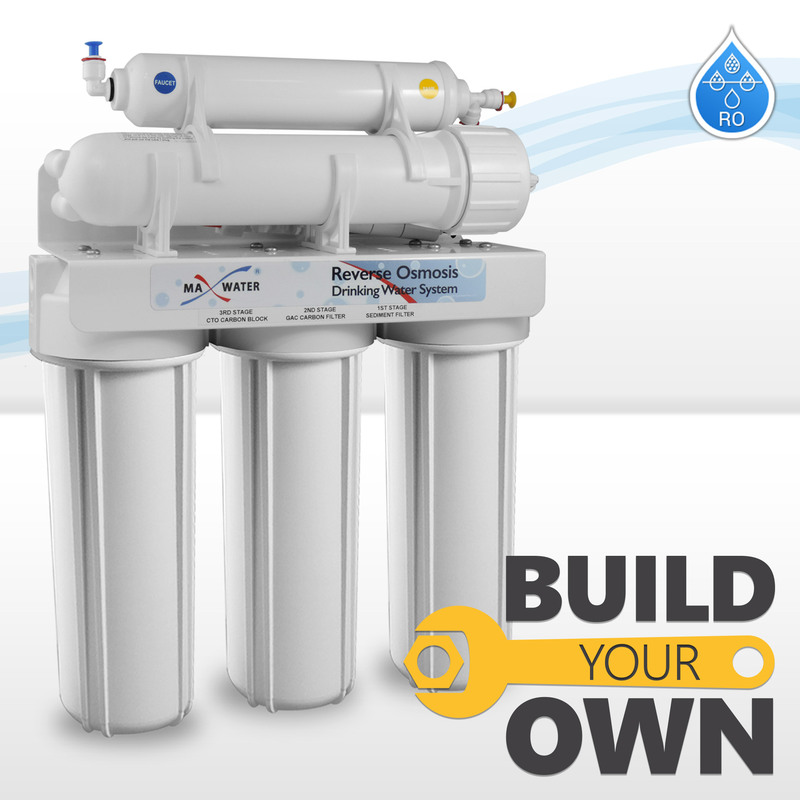 We will use another setup if you select system size 180GPD or any size system with permeate pump. 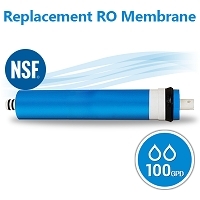 Optional Faucet: If you selected a reserve tank then its preferable to have a faucet as well. 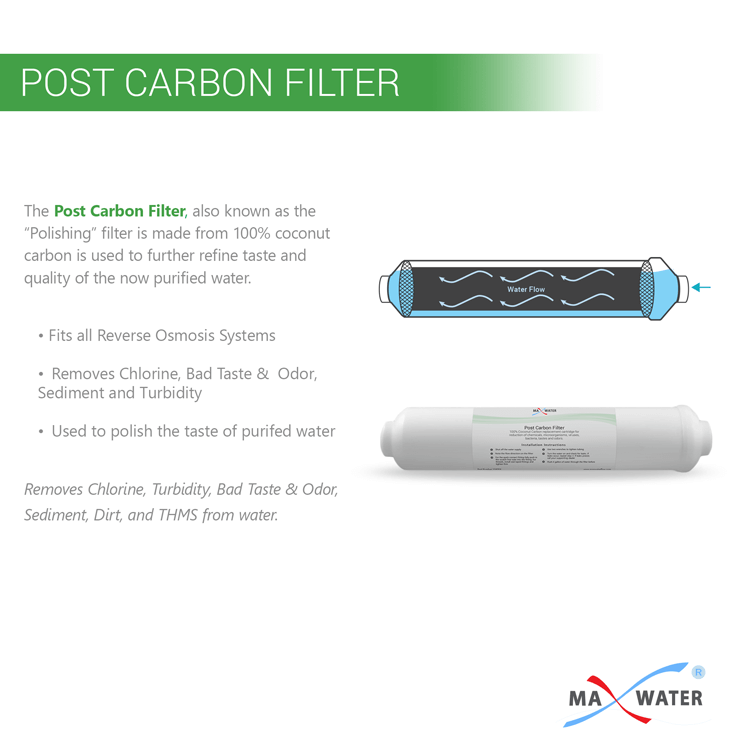 When you select the faucet + DI filter + Inline carbon filter; we will connect your system dual ( with two output lines) and its very important that you select either inline ball valve or float valve to control the other dual (DI line) manually by using the inline ball valve or automatically with the float valve. 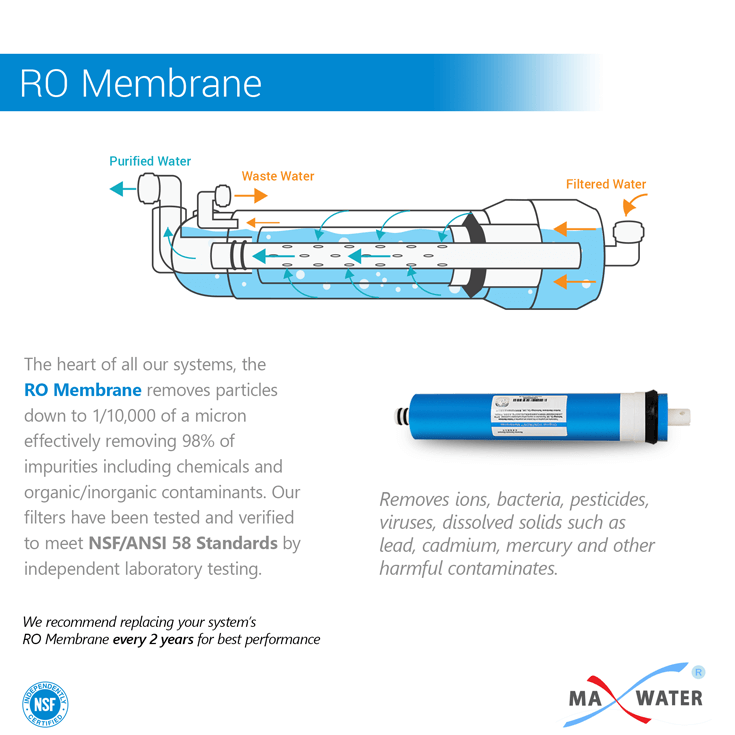 We will connect the faucet line to the inline carbon filter for drinking use without passing the RO water to DI stage). 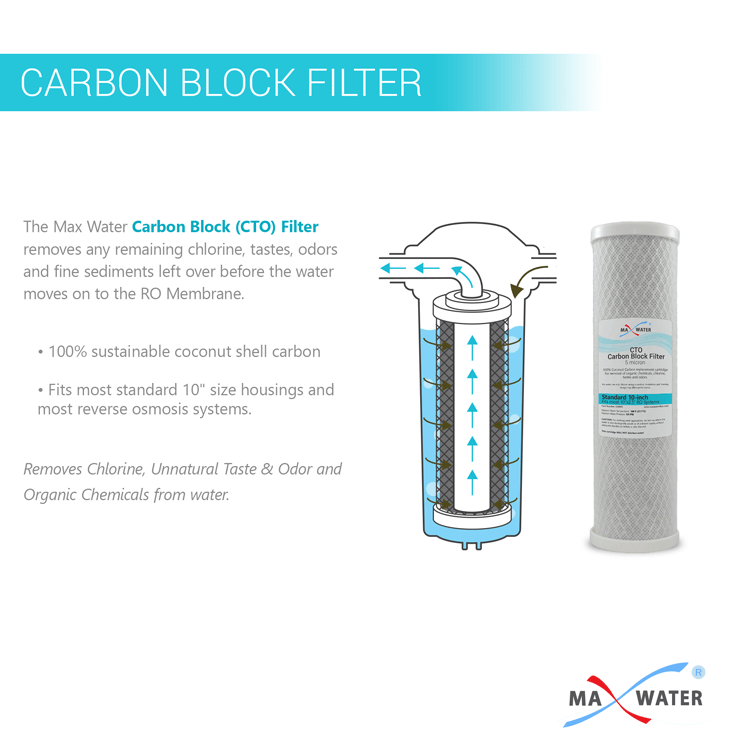 Unless if you required to connect DI line with the carbon inline filter in sequence. 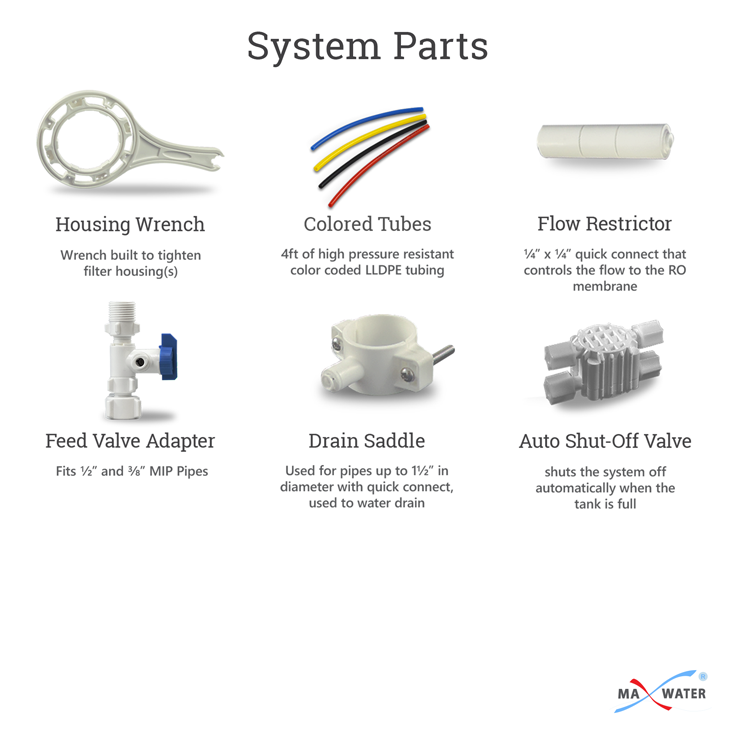 Optional Booster Pump Kit includes: Booster Pump & Transformer + High pressure switch + Low pressure switch. 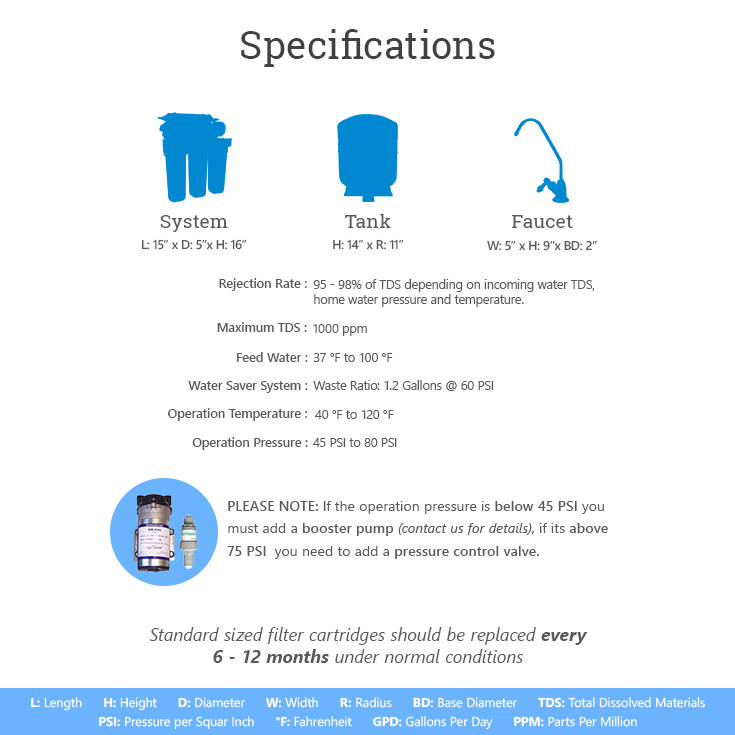 Permeate Pump without pump: 105583 you either have to install the booster pump or permeate pump on the system, you can't combine them both in the same system. 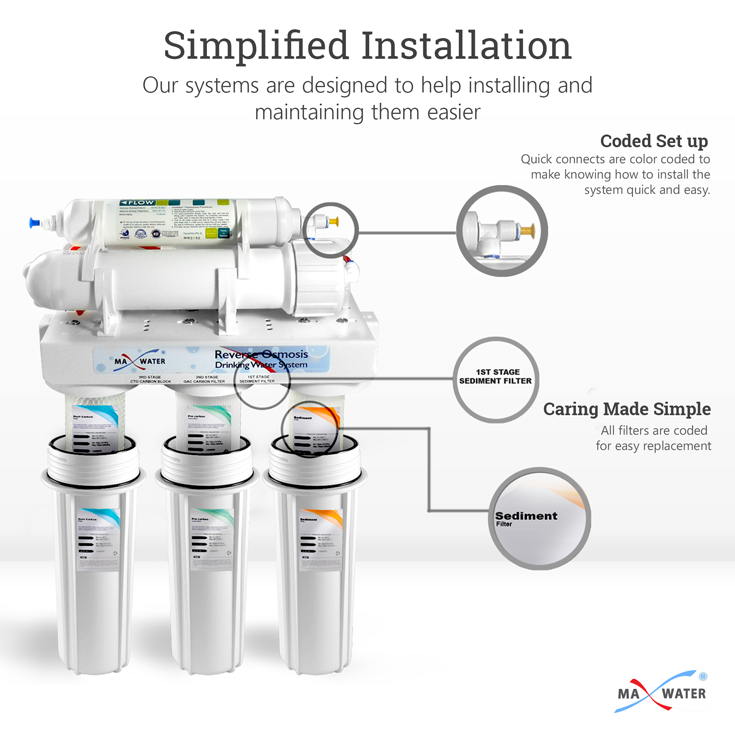 Swap to 3/8" output:When you select this option; we will exchange the faucet connector, 5 stage inline carbon filter inlet/outlet fittings, tank fitting to accept 3/8" tubes, all the above related connecting tubes will be changed accordingly. Please note that when you select this option we will supply you 2 x 4 Feet tube in 3/8" and all the rest colors in 2 x 4 Feet 1/4" as listed in the tube description you will receive total 16 feet. 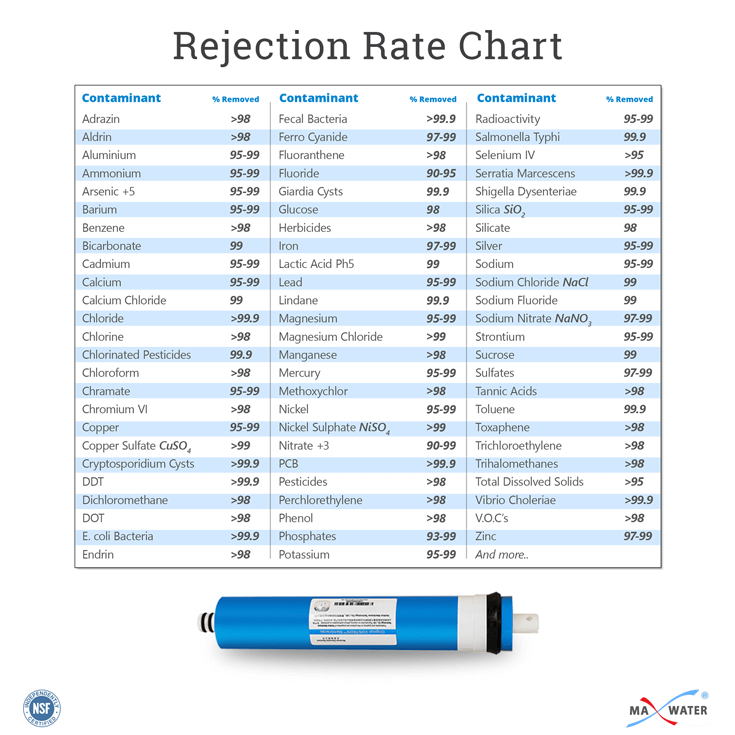 Provides purified water with 0 PPM output (100% Rejection) if a DI stage is added. Multiple membranes options from 50 GPD up to 200 Gallons Per Day. 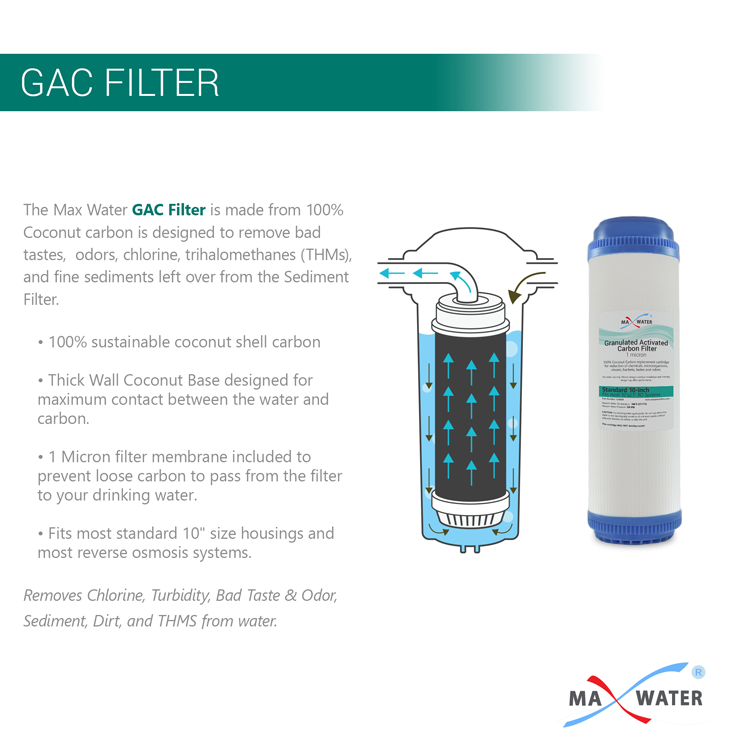 Multiple uses: for your aquarium, hydroponics, some special machines/equipment such as dental equipment, quality drinking water for making your tasty coffee & tea, preparing foods, washing fruit and vegetables. 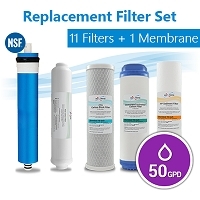 Reduces/removes: copper, lead, fluoride, cadmium, radium 226/228, selenium, arsenic, cysts (cryptosporidium, giardia, entamoeba & toxoplasm), barium, hexavalent chromium, trivalent chromium, copper, lead, fluoride, Odor, TDS many more. Total Weight: Approx 16 Lbs or more depending on selected features. For your convenience, all installation parts are included in this package. Higher than 75 PSI Add pressure control valve to fix the pressure @ 60 to 65 PSI. Everything is fine,just love it. thanks a lot ,when we need anything we'll let you know. it's not such a pleasant experience so far as two of the filter housings are kept on leaking !! I've tried to tighten them up but failed and even the plastic wrench was broken eventually !! 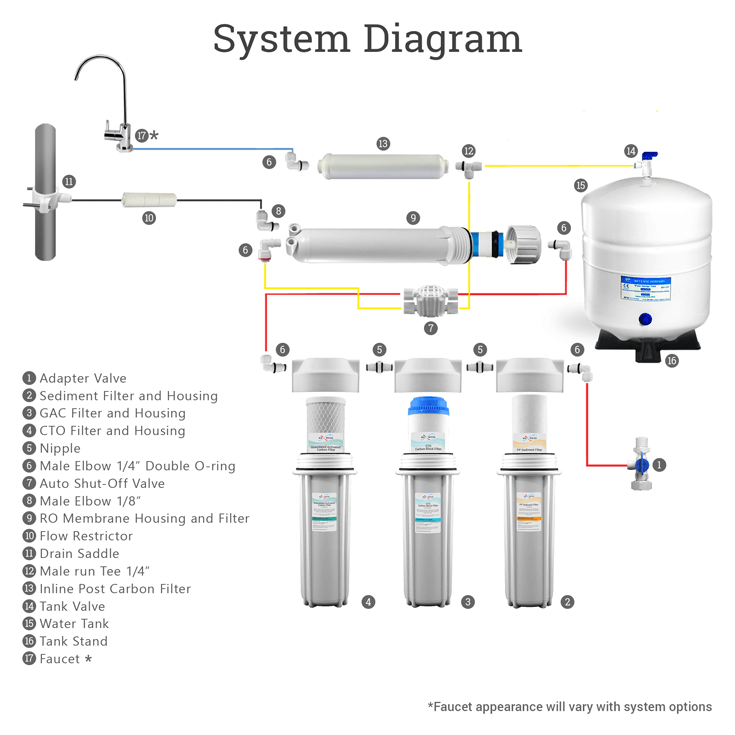 A great system with options for practically any setup.